'Grand Illusion' Exhibit Lifts Curtain On The Secrets Of Setting The Stage An exhibit at the Library of Congress is devoted to the art of theatrical design. Drawings, sketches, watercolors, posters and scale models reveal how magic and spectacle are achieved before our eyes. 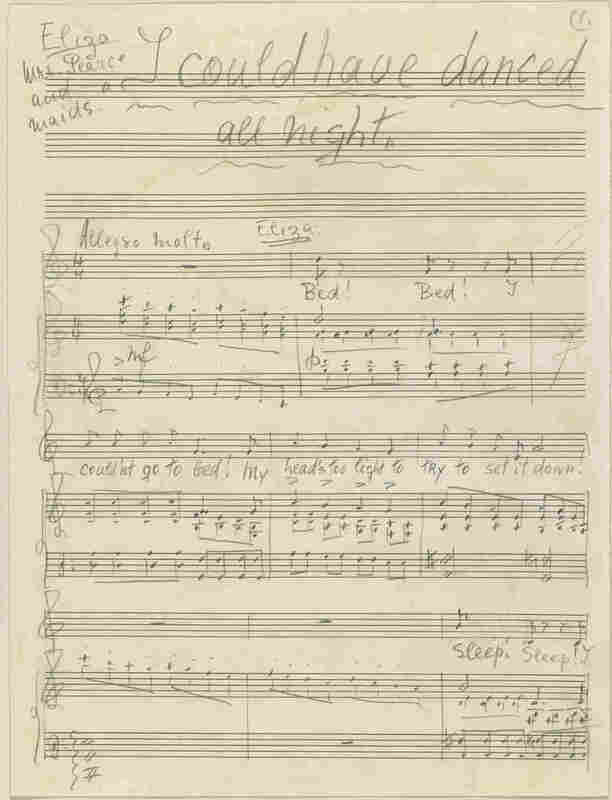 The composer's manuscript for "I Could Have Danced All Night" from My Fair Lady, 1956. You won't want to miss the music in this piece. Click the listen link above to hear the full story. Can you imagine choosing just 43 of the more than 20 million objects in the Music Division of the Library of Congress? Intrepid curators have created a small exhibition that lifts the curtain on how magic and spectacle are achieved on bare theater stages. It's called Grand Illusion: The Art of Theatrical Design and it includes drawings, sketches, watercolors, posters, and scale models created over hundreds of years. Oliver Smith's set design of Covent Garden for My Fair Lady, which opened at the Mark Hellinger Theatre in New York, on March 15, 1956. Watercolor and pen and ink drawing. The exhibit includes Oliver Smith's 1956 ink and watercolor sketches for My Fair Lady's set designs. "It was the most expensive production in musical theater [of] its time," says library music specialist Walter Zvonchenko. "The price for it was $485,000." While the set designs evoke London's Covent Gardens, composer Frederick Loewe evokes jubilation in the melody he penciled on a piece of My Fair Lady sheet music. "It's ready for the copyist who would prepare the orchestrations," explains the library's Daniel Boomhower. "You could sit down at the piano and play and sing from this." Alan Jay Lerner's lyrics to "I Could Have Danced All Night" are full of exclamation points, and express Eliza Doolittle's joy after a night on the town. These original documents are all evidence of creators at work on what would become one of the great Broadway musicals. Robert Edmond Jones' set design for Scene I of The Birthday of the Infanta. Watercolors with graphite and ink. 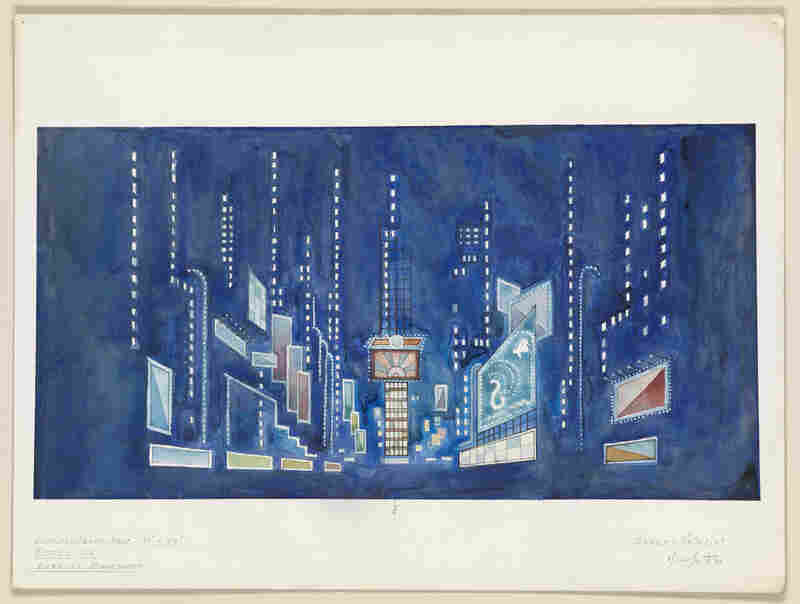 Oliver Smith's scenic design for Jerome Robbins' Broadway. Watercolor and pen and ink drawing. 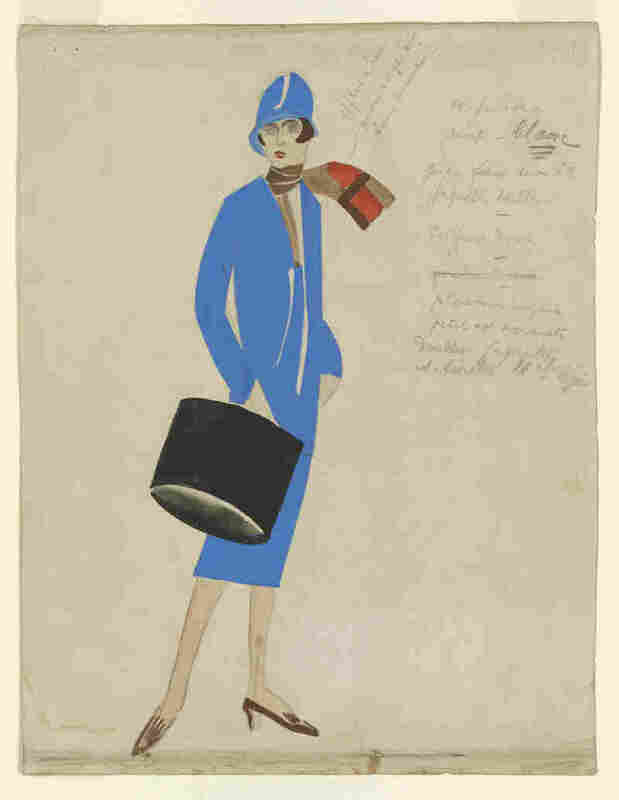 Coco Chanel's costume design for Le Train Bleu, which opened at the Théâtre des Champs-Élysées, Paris, in June 1924. Gouache drawing with notations. 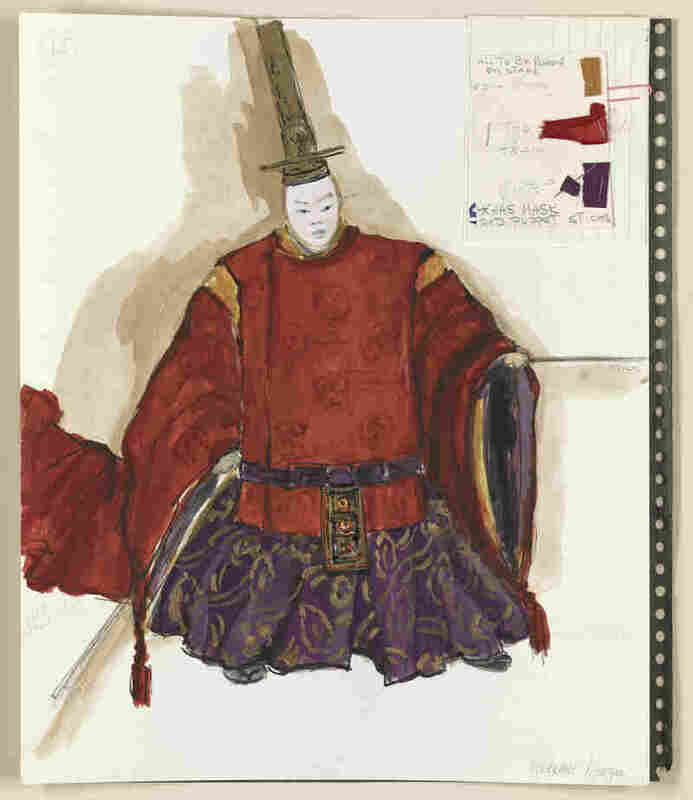 Florence Klotz's costume design for Pacific Overtures, which opened at the Winter Garden Theatre in June 1976. 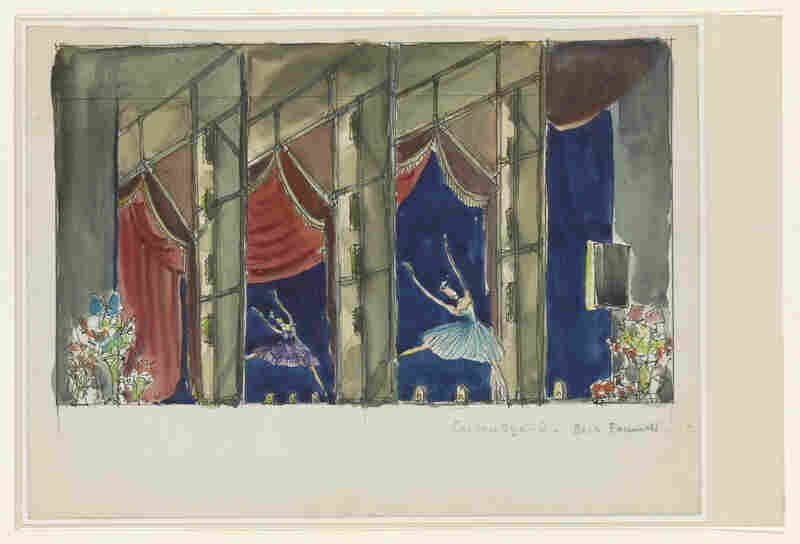 Peggy Clark and Elizabeth Montgomery's watercolor design for the Agnes de Mille Dance Theatre for Barocco and Golden Era, 1953. 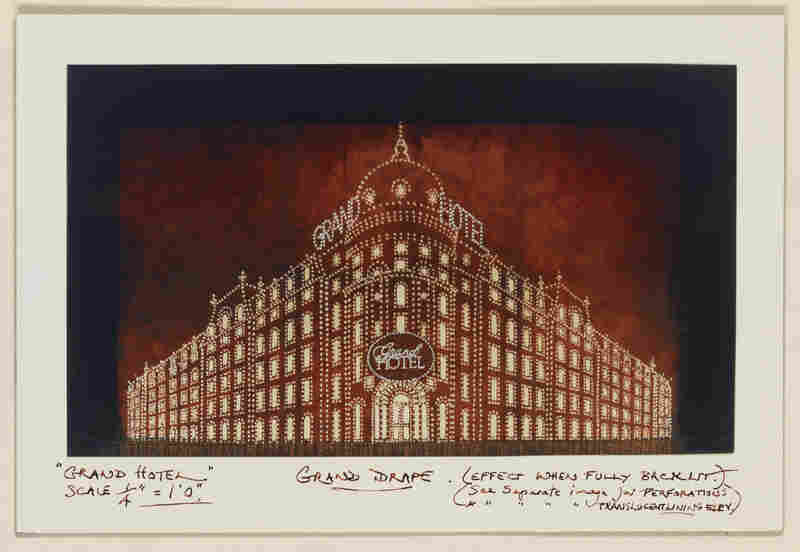 Tony Walton's grand drape design for Grand Hotel, which opened at the Martin Beck Theatre, New York City, in November 1989. 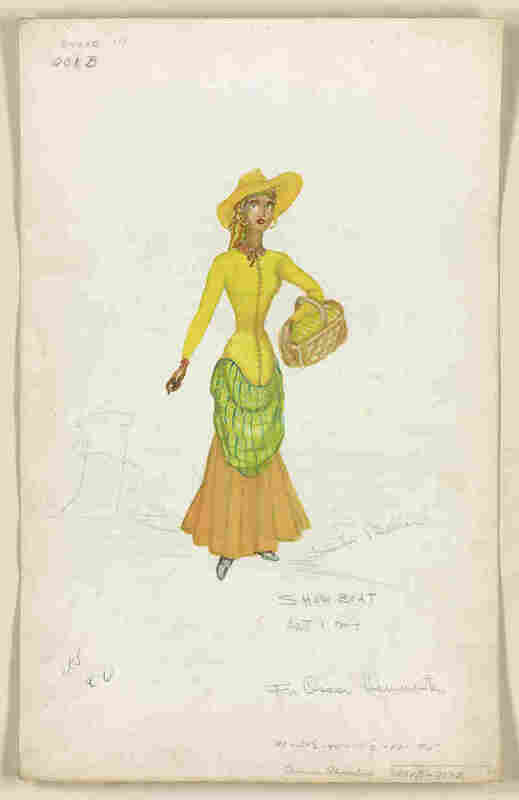 Lucinda Ballard's costume design for the 1946 revival of Show Boat. 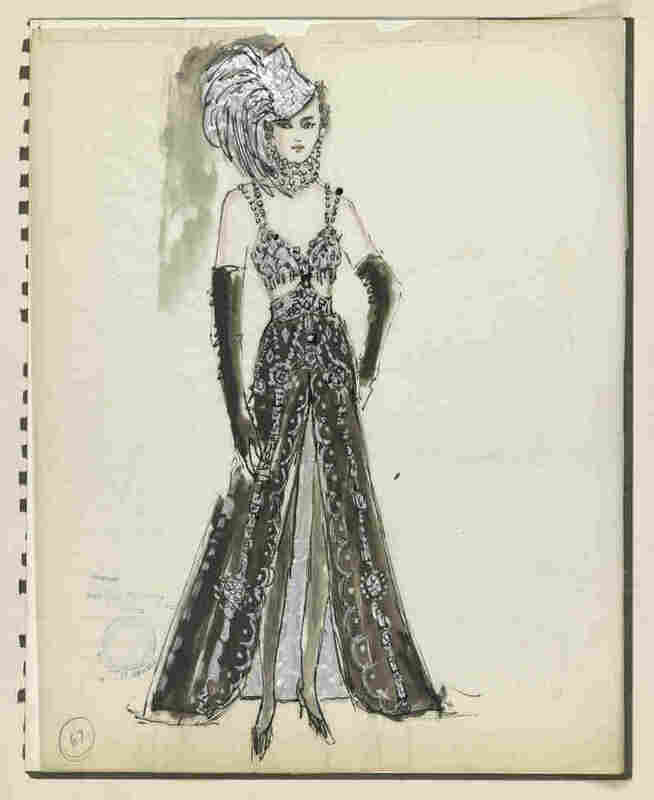 Florence Klotz's costume design for Follies, which opened in 1971. 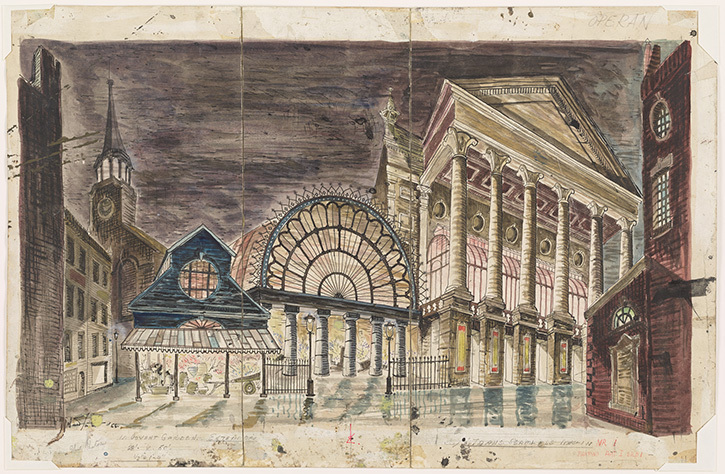 James Stuart Morcom's stage design for the Federal Theatre Project, between 1935–1939. Gouache, colored pencil, and wash on illustration board. 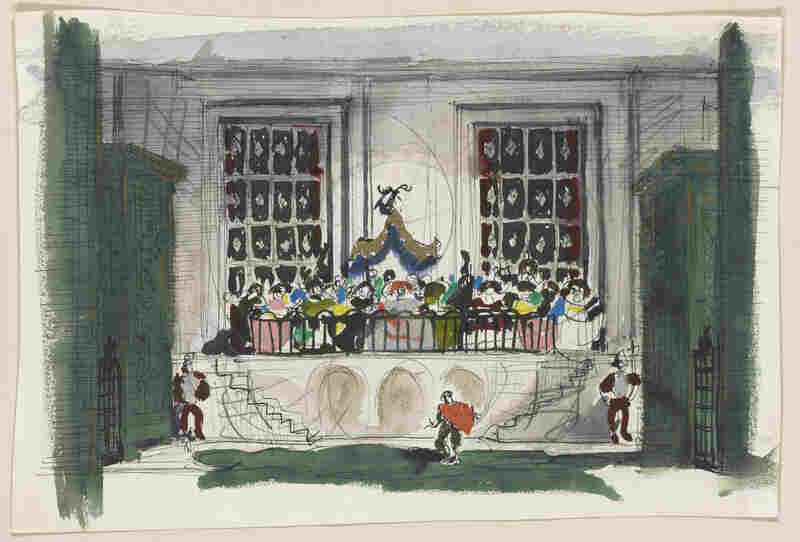 The earliest object in this Library of Congress show is a 1668 stage set engraving for the opera Il Pomo d'Oro. Zvonchenko says the production, in Vienna, was spectacular. "There was a huge proscenium arch, and this thing would extend like almost 100 feet back. There were huge pulleys and chains which could support in the air as many as 200 or 300 people." Flying gods and goddesses! Dragons! Sometimes they bumped into one another in mid-air. 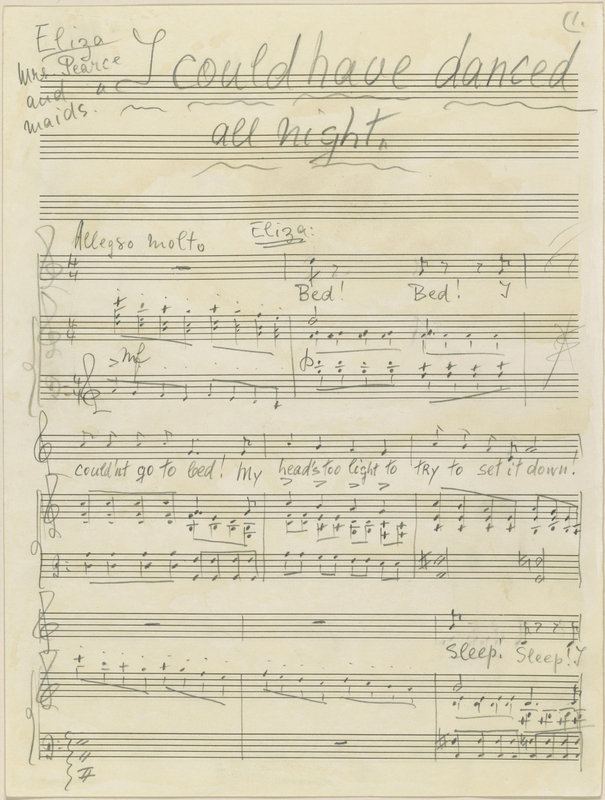 The exhibit also includes George Gershwin's full, hand-written orchestral score for a never-heard-of-it song in the never-heard-of-it 1929 musical Show Girl. Gershwin had needed Ferde Grofé to orchestrate Rhapsody in Blue. Five years later, he'd learned to do it himself. "Gershwin was measuring himself against great composers, and great composers in his mind orchestrated their music," says Boomhower. Show Girl ended with a ballet — set to Gershwin's American in Paris. That tune had a future. 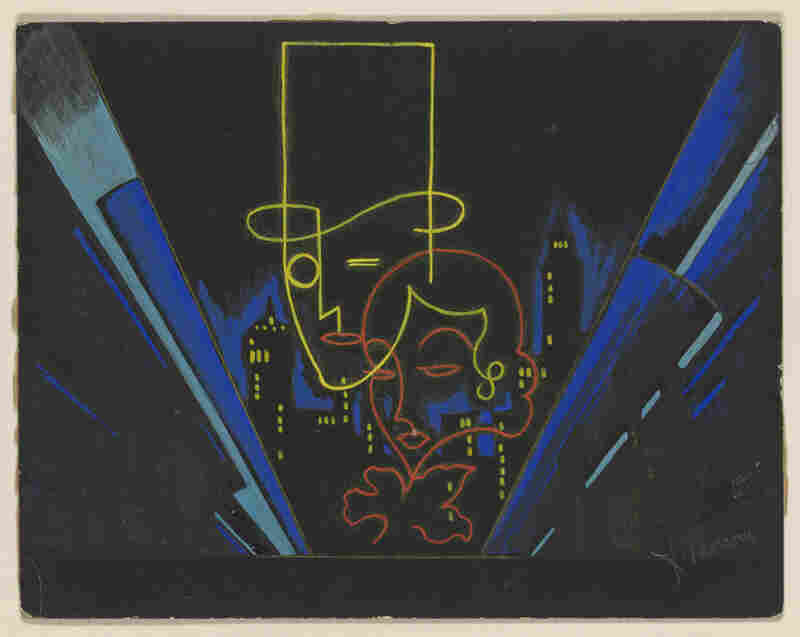 Many of the objects in Grand Illusion were created during the Depression, a time when audiences were worried about the future. These musicals, Zvonchenko says, served a social purpose. "They were a relief," he explains. "They were a release from the pain and the rigors that came with the Great Depression. You needed a Fred Astaire and a Ginger Rogers to go dancing across the stage, to try to tell people: Hey, There's still some joy, there's still some life." The evidence can be seen at the Library of Congress until the end of July.